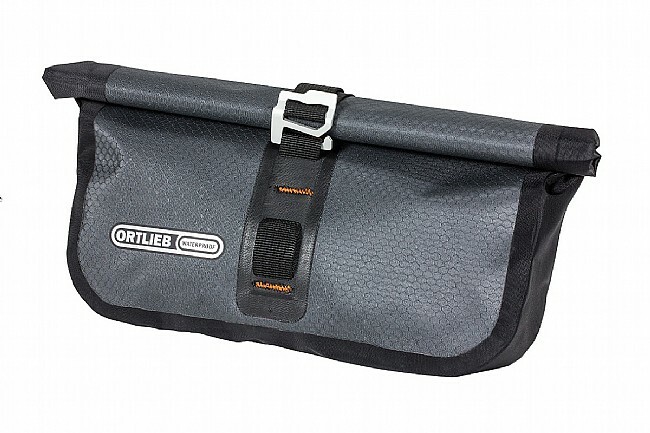 Ortlieb's Accessory Pack can conveniently add-on to their already stellar Handlebar Pack for extra storage during your next adventure mission, but it can also mount to your bars all by itself for ultra-lightweight traveling. If you'd rather wear it than ride with it, you can do that too with the included strap that lets it work as a hip pack or small shoulder bag. The polyurethane-coated nylon construction is waterproof for keeping all your goods dry, and and the roll-top closure makes it easy to adjust to varying load sizes. 3.5 L capacity. 17 cm x 30 cm x 5 cm. Claimed weight is 206 g.
Ortlieb Accessory Pack - The Right Size and Style for Me. I like that it hangs just below my handlebars and doesn't block my front light. Perfect size for my rain jacket, cell phone, sunglasses, snacks and other extras. Holds more than it looks like it would! 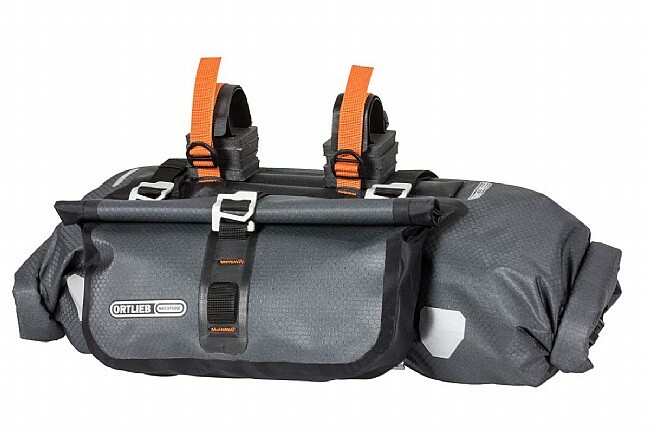 I attach this to the front of my Ortlieb handlebar pack to carry small items that I want quick access to...camera, first aid kit, jacket, etc. It carries a LOT of things, but be careful not to overstuff it or it won't close all the way. Also be careful not to weigh it down too much or it can rub on your front tire and quickly make a hole (patched with Tenacious Tape). Well made, and good fit!